There are a number of myths and misconceptions regarding prenatal vitamins and their effects on women who aren't pregnant. For instance, there's no truth to the claim that prenatal vitamins can help regulate your period. Your period depends on hormones released by various body organs, not on vitamins you take. Your menstrual period is the result of your body preparing for conception and implantation of an embryo each month. In response to FSH, or follicle-stimulating hormone, which comes from the anterior pituitary gland of the brain, your ovaries begin ripening an egg. The egg secretes estrogen and progesterone, causing the uterine lining to thicken. If you don't become pregnant, estrogen and progesterone levels drop off, explains Dr. Lauralee Sherwood in her book "Human Physiology," causing you to menstruate, or shed the uterine lining. Most women experience a menstrual period every 28 to 35 days, though your cycle might be longer or shorter than this. Further, while many women have fairly regular menstrual cycles, others don't; this might be due to low body weight or obesity, or might simply be normal for you. 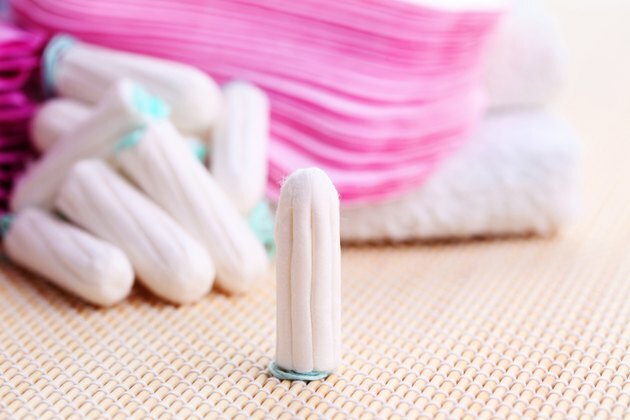 Regardless of how frequently and regularly you menstruate, the timing of your periods is a result of your hormone levels and hormone release patterns. Prenatal vitamins are very similar to regular daily multivitamins and in general you can't expect them to do anything for you that regular vitamin and mineral supplements wouldn't do. The biggest difference between prenatals and regular multivitamins is that the prenatals contain more iron and more folic acid than you'd find in a women's daily supplement, explain Drs. Michael Roizen and Mehmet Oz in their book "You: Having A Baby." These nutrients help support healthy pregnancies. Vitamins, prenatal or otherwise, can't regulate your period. It's possible for you to have very irregular or absent periods if you're severely undernourished or are of very low body weight, but in such cases the problem has to do with low body fat rather than low vitamin levels. If you've always had irregular periods, it's likely that you simply have irregular hormonal cycles and there's nothing short of hormone supplementation -- as with birth control pills -- that you can do to change that. If you have just started having irregular periods recently, you might want to talk to your doctor.